I was going to put my full effort into a preview of tomorrow's Outback Bowl, but when it really comes down to it, tomorrow feels more like an ending than anything else. The the most integral component of the Rich Rodriguez era, and the beginning of the Brady Hoke era, will play his last game for the Wolverines tomorrow afternoon. Rich's legacy at Michigan, for me anyway, has been defined by the fact that he recruited Denard to Michigan, when no one else in the country would give the kid from Deerfield Beach, FL a chance to play quarterback. I've been very privileged to be able to cover Michigan football during the time Denard has been here. Over that time, I've made the most of my opportunity by taking as many photos as I could of the things I've experienced. Every week, my camera would always try to find #16. I will certainly miss having this kid around the Big House on gamedays. Here's a gallery I put together of some of the best shots I've been able to snap over the last 3 years of Denard Robinson. While I fully believe that 2013 could be a very big year for the Michigan Football program, it's going to have to be so without the help of one of the most dynamic and exciting players to ever wear the winged-helmet. Since that play, #16 has continued to wow Michigan fans like maybe no other player in history. He's not the best QB to ever play at Michigan, but he's certainly a special player...one of the most special of all time. That smile. His demeanor. The way he carries himself, always putting his team first. Denard's legacy is about as tough to define as it was to catch him. I assume it will come in time. But one thing that's not hard to define his how important he is to this team and the guys around him. Tomorrow will be the last time #16 unlaces his shoes for a game as a Michigan Wolverine. He probably won't be lining up at quarterback, but that's ok. He's just as dangerous wherever he is on the field. It will be interesting to see what the coaches have planned for #16's curtain call. 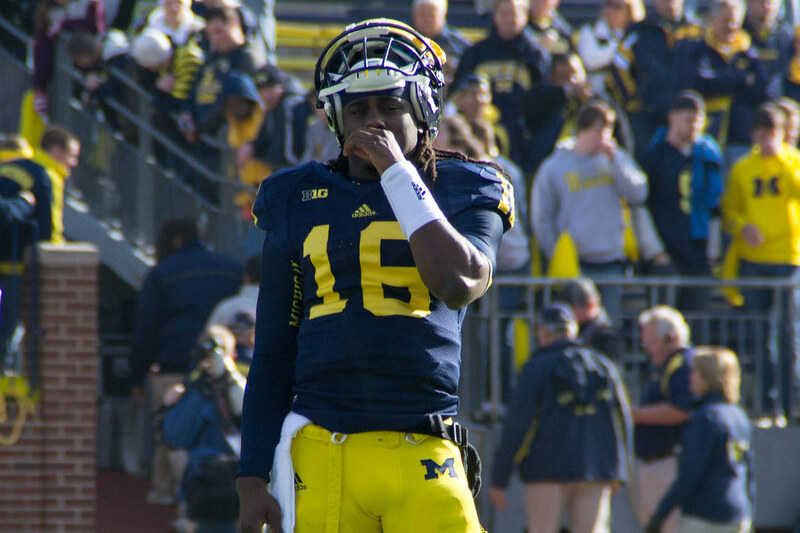 I have no doubt Denard Robinson will be playing on Sundays. He's simply too good not to. But no matter what he does at the next level, he'll never be as special a player as he was at Michigan. 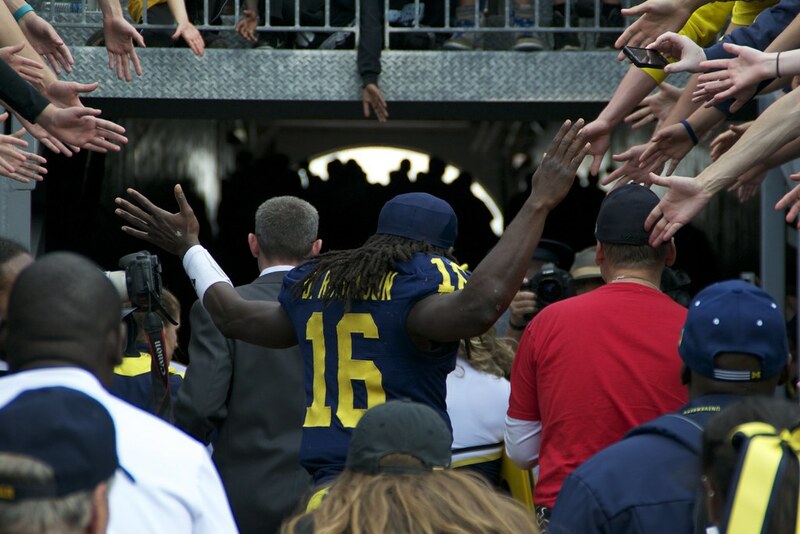 It's been my pleasure to cover Michigan during Denard's time in Ann Arbor. Best of luck to Shoelace tomorrow. It's time to eat.